Product Reviews FINALLY Arrive on eBay UK! It was back in June 2015 that I first wrote about product reviews on eBay and how it was a huge missing feature that made it very hard to use eBay as a buyer. But as I mentioned in my recent update to this whole issue, posted earlier this year, that meant it was just a matter of time before we finally got product reviews on eBay.co.uk as well (better late than never!). And I am delighted to say that product reviews are now here, and in fact this has happened much sooner than I had anticipated! I already talked a lot about why I am so happy to finally get product reviews on eBay, but in case you missed my earlier post, the main reason is that it will punish sellers of low quality products and reward sellers of high quality products. So bad news for all those sellers offering the lowest quality products possible but still getting a huge amount of sales, due to the fact that they’re the lowest price and because buyers simply don’t know how bad the product is until after they’ve received it – because there are no reviews to tell them beforehand! Basically this means that buyers won’t need to leave eBay in order to research the product they’re looking to buy – theoretically meaning a higher conversion rate and therefore more purchases! Think of Amazon as the perfect example – I can go and search for any item and I’ll be presented with hundreds of different options at multiple price points and be able to research all of those options by reading the reviews right on Amazon.co.uk itself. By contrast, if I search for an item on eBay, which I don’t already know a lot about, I’ll then have to head back to Google and search for it, find another site with reviews etc. etc. At that point it’s fairly unlikely that I’ll go through with the purchase, at least not then and there. This is something else I’ve been saying for years – product and seller reviews should be separate! Think about it – let’s look at a seller who sells high end smartphones and one day sells two iPhones, both of which are shipped immediately via next day delivery. One of the buyers is pleased with their phone and leaves positive feedback but the second buyer is coming from Android and is disappointed by the lack of customisation possible in IOS and therefore leaves negative feedback. From the seller’s point of view, this is quite unfair as they’ve done their job in both instances – but at the same time the buyer is also entitled to review the product… so the best solution is to make product and seller reviews separate (once again like it is on Amazon). Overall I am incredibly pleased that eBay have finally introduced product reviews and if implemented correctly, I can see it having a big positive impact for us sellers. BUT, while we’re on the topic of implementation, there are still some issues that I would like to see sorted out. Limited range of products that have reviews. I.e. the categories dominated by major brand products that are easy to identify! But if eBay really want to make product reviews an important feature on their site, they need to implement it to ALL products – which is why they are pushing product identifiers so much recently. I personally just wish they would introduce a barcode requirement for all products (if you don’t know what they are, you can read all about EAN barcodes here) but that may just be too difficult at this point. So for now, please make sure that you don’t just select “Does Not Apply” for product identifiers when you’re creating your listings. From what I’ve seen, listings without product identifier information are extremely unlikely to have any reviews. Again, I really think that eBay need to go “all-in” with their reviews if they want them to be truly worthwhile for buyers. It can’t be there for some products but not others – that’s such an amateurish way to do things and not what I’d expect from a thirty billion dollar company! I have no idea if this is some sort of glitch but it’s slightly worrying to see random reviews from 2011. This actually leads me perfectly to my next point, which is also extremely important. It goes without saying that any new feature will need some time to catch on, but reviews have been live for a few weeks now and the level of activity/interest is alarmingly low. The fact of the matter is that eBay buyers just aren’t used to leaving product reviews, in the same way that Amazon buyers generally don’t bother leaving seller feedback. To counter this eBay really need to heavily publicise and promote this feature better than they are at the moment – something more than sending out an email reminder that 99% of people won’t even read. If you check the sales history for this listing you’ll see that hundreds were sold in the last 24 or so hours… that means thousands per month! And how many reviews does it have? 5 reviews and 7 ratings (you can “rate” a product without leaving a review). That’s never going to give a buyer added confidence and simply put – there is no point at all in this review feature unless it is accepted and used frequently by buyers. Reviews are new to eBay UK though so let’s give it a few months to really pick up and see how it all develops. All in all this is great news and something I’m really excited about, for all the reasons I discussed earlier on in this post – I just hope eBay follow through to make sure product reviews are the saviour we’re hoping for! What about you – what are your thoughts on this development? 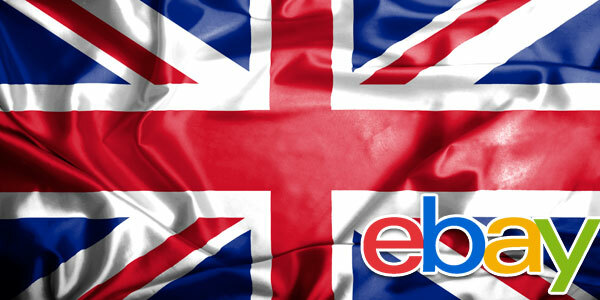 Do you think it will help with the huge number of low quality, cheap items for sale on eBay? Whatever your thoughts, or if you have any questions, feel free to post below in the comments section and I’ll get back to you within 24 hours. Is there anyway to push or remind the customer to leave a review? is that happening from eBay or is there any setup that I have to add to get reminder ? I sell product very well with hardly any review left and I see others with many stars ! No, there’s nothing seller do to push those emails/reminders. eBay decides on when and who receives those “please leave a review” emails. ebay do not display all negative product reviews, but do display all positive 4+ stars reviews, You can not trust ebay and their selected review system. I am a little concerned. It seems these product reviews are broadly applied to any seller’s listing that appears to be the same as mine. Thus if other sellers get bad reviews, I am affected. I see no way how this is a good thing. Do you have any idea how to avoid being reviewable? My only guess is having less product identifiers and specs. Unfortunately that is true, yes and I totally agree – it’s a MASSIVE flaw in the system as there are seller who hijack other seller product identifiers and actually sell a different item. It is same system on Amazon though but they’re more strict on policing this. Do you know if there is any way to get directly to the Write a Review page for specific item on Ebay. We would like to ask for reviews x days after shipping a product but am struggling to find a way of taking the customer straight to the write page. It is so much easier in Amazon I just need to use the link with right asin at the end? That is a good question – but I don’t know the answer for, I haven’t looked into this. It should be some kind of standardised link I think, in which you could change the listing ID. But I haven’t looked into this. I’ve left a product review about a tempered glass screen protector for a Samsung X cover 3 on a seller’s Ebay site THREE TIMES – and it doesn’t see the light of day. It was an honest review which basically slated the product – which is so thick it makes the phone virtually unusable – and contained factual information; no bad language or insulting words. I don’t know who decides which reviews are published – Ebay or the seller – but if it’s the latter, there is a conflict of interests, obviously, and the reviews therefore are going to be biased and not worth reading. No, sellers can’t remove reviews. They can only report inappropriate reviews to eBay and if they violate rules, they may be taken down. Not sure why yours was taken down though as from the sound of it, it was genuine review. One question I haven’t yet found an answer to regarding eBay product reviews is can sellers post a response to reviews? I find this a useful feature on my website to clarify some buyer issues – or just to say thank you for a good review. No, you can’t leave comments to reviews. At least not for now. It could be coincidence but the day after I got my first review on a particular product I moved up about 20 places in search. Is there any rule on eBay agains incetivising seller or product reviews – for example if I offered a % cash back on their order or entry in to a monthly draw? The reviews I get are good but I struggle with getting a good volume – it’s probably about 10% at a guess. I’m sure that reviews are part of Best Match now, yes, so it’s probably not a coincidence. On Amazon reviews play crucial part in ranking items. As for incentives on leaving reviews – I haven’t seen any rules on this but probably they are hidden somewhere in T&Cs, just like it is on Amazon site. But this is something I should investigate closer. Fantastic website and blog. So much incredibly useful information, thank you so much for it. Looking forward to reading through some older posts. I think Product Reviews on Ebay are a step in the right direction, i’m just concerned most buyers will misuse them and leave seller feedback there instead. Or if something goes wrong with a transaction (late delivery etc) the buyer will leave a 1 star review just because of that. I hope Ebay will have a dedicated team that can be alerted when a product review has been posted that does not meet clear guidelines. especially when eBay buyers are simply not trained/used to do proper product reviews, like buyers on Amazon are. Time will only tell how this all works out I guess. Promoted Listings on eBay – DOES it WORK? Thanks for the post. I’m generally happy about the change as I believe my products are good quality, and the only previous way to find out was to delve into the seller feedback. I do have a few reservations too. If it’s based on EAN, I presume a review on one of my listngs, is associated with all other listings of that EAN? In one respect this is good as it can build up the reviews quickly, however on the hand a seller has to be altruistic to get this reviews if it benefits all other sellers too. Or am I wrong and reviews stick to one listing only? If that is the case, close your listing, and you lose them. It looks like *anyone* can leave a review? I don’t like that, and would prefer only verified purchases could leave one, otherwise it’s wide open to negative competitors, and we all know how many of those people there are on Ebay. As an aside, the phantom review above – it couldn’t be from ebay.com and being dragged across could it? Although I didn’t think they had reviews in 2011 either, so I suppose not that explanation. I totally agree – I don’t understand why they don’t make this LISTING based???!!! Most sellers now use GTC listings so they could easily just link these reviews to each specific listing. At the moment, it’s EAN codes – and this means that all reviews are shared. Also, this means that someone could use WRONG EAN code and get instant reviews..?!.. There are still too many questions and as eBay is only testing this, they don’t come out with any detailed statements. Yes, anyone can leave a review – but it’s same on Amazon so probably eBay just copied them on this. Phantom reviews – there was a test pilot on product reviews on eBay.com years ago, so it could be that they have taken those reviews, yes. I’ve had a few rolling in which has surprised me, as the automatic requests to customers must be helping. Based on experience on Amazon I wasn’t expecting many, but perhaps it’s in the tradition of Ebay buyers to feedback about product/experience. Yep, I saw this. They’re probably testing/implementing these additions on the go.